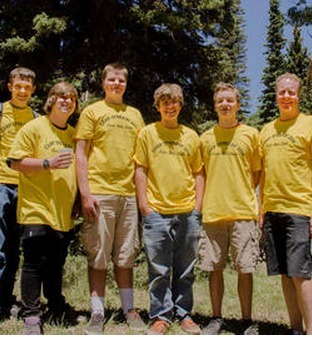 On June 25, five Varsity Scouts from Cedar Hills, Utah, on their way to camp helped save a woman pinned under a wrecked SUV. Headed to an LDS stake Scout camp near Beaver, Utah, the Scouts saw an SUV overturned on the side of the highway. They immediately stopped to help, seeing that no emergency personnel had arrived. One of the adults in their van, R.L. Peay, the first aid certification director for the Utah National Parks Council, BSA, got out to assess the situation before involving the boys. There were a few other people at the accident helping to remove the injured people from the SUV, but a man and woman were still pinned in the vehicle.